The amount of people sweating the small stuff never ceases to astonish. Whether it be our jobs, our family, our hobby, or something that we came across will making the Monday commute — something seems to put us over the edge. Why though? The world may be full of many temporary inconveniences, but few things matter longer than the immediate present. Live the 5 by 5 rule. 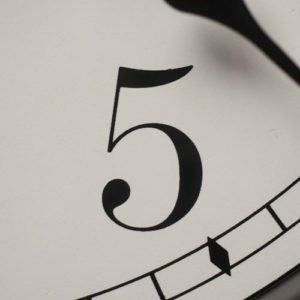 The 5 by 5 rules simply states that if something won’t matter in 5 years, but spend more than 5 minutes upset about it. Don’t be a drama queen. Don’t create unnecessary stress. Someone driving slowly? Won’t matter in 5 years. Something someone said about us at work? That won’t matter in 5 years. Our favorite team lost? Unless we put a deed on the game, it certainly won’t matter in 5 years. Inner peace. 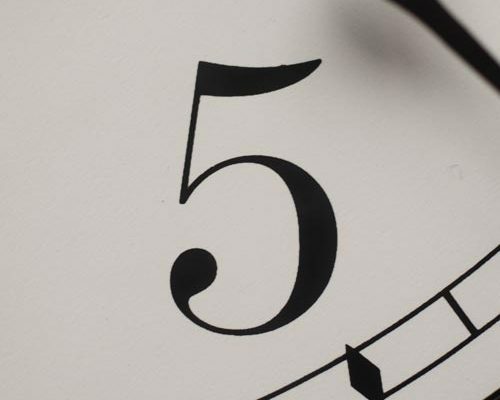 Living the 5 by 5 rule will lead us to realize that most things in life really don’t matter. Take life as it comes and don’t take ourselves too seriously. None of us get out alive. Calm down, have lower stress. It’s easy to get caught up in the moment. We all do it. We’re all human. What happens to us right now might seem to be the most important thing in the world, and some of us make it everyone’s problem. Then in a few minutes once the dust settles it occurs to us that the moment has passed with all of its silliness. It may have temporarily frustrated us, and we now should know to shake it off the next time. No one else cares anyhow. How many of us have jobs or vocations that humanity depend upon? Are we doctors, farmers, or grocers? If not, how often would the 5 by 5 rule help us reduce stress each and everyday? Few people wish they worked more as they age. Perhaps this is easier said than done. It’s a practice. For many people the 5 by 5 rule may be hard to practice, to buy into. But it will be worth it. The 5 by 5 rule teaches perspective. It teaches us situations that don’t effect us long term should be dealt with right now and move on. Buying a house, marrying your love, and moving far away need consideration. What someone said, what someone forgot, and what wrong turn we took aren’t situations that we’ll remember in 5 years, let alone 5 minutes.